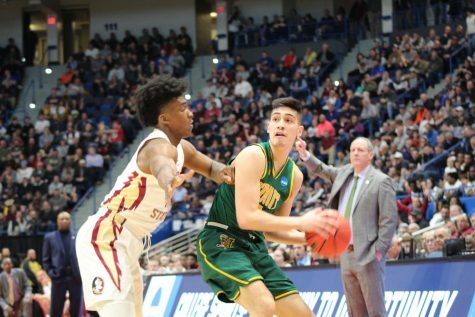 The UVM men’s basketball team has made it to the NCAA March Madness tournament for the first time since 2017, when they were eliminated in the first round. 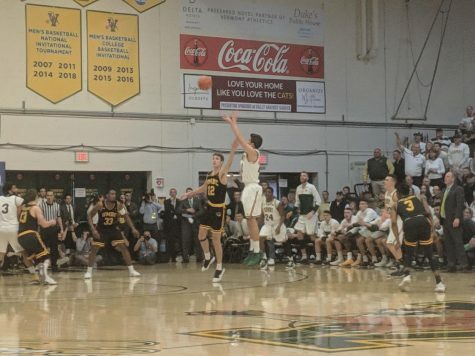 The Catamounts defeated the University of Maryland Baltimore County Retrievers in the American East title rematch March 16 with the final score of 66-49, securing themselves a spot in the tournament. 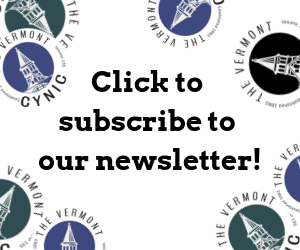 During the the 2018 America East championship game, UMBC upset the Catamounts’ undefeated 2017-2018 season with a 65-62 win, according to UVM Athletics. The year before, UVM was defeated by Purdue University 70-80 in the first round of the NCAA tournament March 17, 2017. Forward Anthony Lamb, a junior, had 28 points and nine rebounds in the March 16 game. 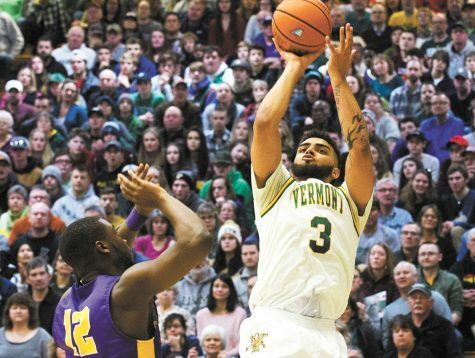 He was awarded the America East player of the year award this season, according to UVM athletics. Patrick Gymnasium erupted when Lamb scored his first layup 20 seconds into the game, a lead that the Cats would hold onto for the remainder of the game. Head coach John Becker credited the fans, who’s cheers he said were deafening, for helping the team win the game. “The crowd is so loud, you can’t hear anything down on the court,” he said. 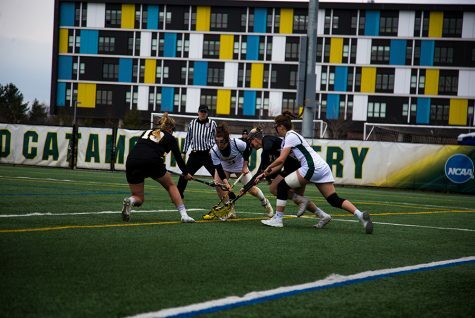 The Catamounts started the game with a strong defense that forced UMBC to turn the ball over on their first possession. UMBC’s first points, not counting free throws didn’t come until the sixth minute of play. Lamb was able to draw three 3-point shooting fouls in the first half, something that Becker said was unusual. Lamb ended the game going nine for ten from the free throw line. 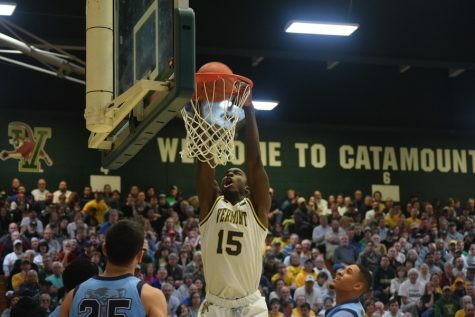 Guard Stef Smith, a sophomore, was also able to score big baskets for the Catamounts throughout the game and was only one of three UVM players to score in the first half. Smith’s first points of the game came from a steal by forward Samuel Dingba, a senior. This led to a fast break for Smith, where he went to the free throw line and made both shots. He also grabbed eight rebounds, and helping the Catamounts allow one UMBC player to reach double digits in points. Defense from both teams caused the first half to end in a low score of 28-20 in Vermont’s favor. Becker said that coming out of the second half, his players had to keep playing hard and proving that they wanted the win. Lamb scored UVM’s first points of the second half two minutes in with a big 3-pointer after only scoring one in the first half. Sophomore guard Ben Shungu helped UVM go on a run with a big 3-point shot followed by an aggressive drive punctuated by a free throw, a common theme for UVM throughout the game. Lamb expressed his gratitude to his team and the community here at UVM. This was both Dingba’s and Ernie Duncan’s last game at UVM’s Patrick Gymnasium. Duncan said after the game how thankful he was for the UVM community and for the opportunity he was given to be a Catamount. 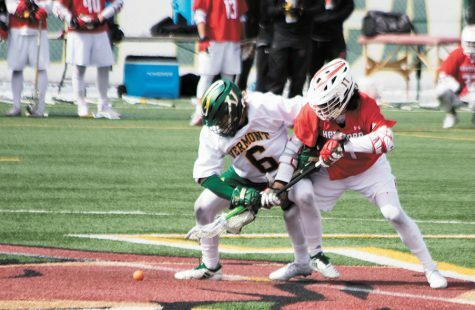 “It is obviously really special to play here with my brothers, and I had to slow it down and really appreciate every moment given to me this season,” he said. The Catamounts next games date and opponent will be determined after the March 17 Selection Sunday.